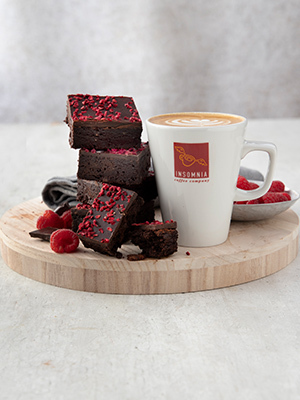 The Brownie Collection has been put together to include some brand-new brownie flavours and introduces a new Vegan Friendly Raspberry & Chocolate Brownie to the Insomnia menu. Inspired by the indulgent Belgian chocolate Insomnia brings you a brand-new collection of mouth-watering hot chocolates and chocolate brownies. 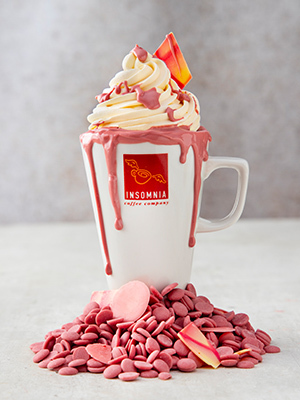 This year more than ever we’re bringing innovation with the launch of a 4th type of Hot Chocolate – The Ruby Hot Chocolate - exclusive to Insomnia and brand new to Ireland! 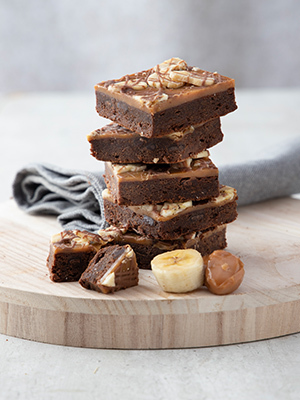 The Brownie Collection has been put together to include some bran-new brownie flavours and introduces a new Vegan Friendly Raspberry & Chocolate Brownie to the Insomnia menu.